Dark brown with white mottling in the feathers across its front, the northern spotted owl is a medium-sized nocturnal bird. The spotted owl tends to mate for life and maintains a year-round territory. It hunts primarily from its perch in the trees, feeding on mammals, birds and insects. Northern spotted owls prefer habitat typical of old-growth forests, including areas with dense tree canopies and trees with cavities or broken tops. They use a variety of trees, including Douglas fir, redwood and western hemlock. 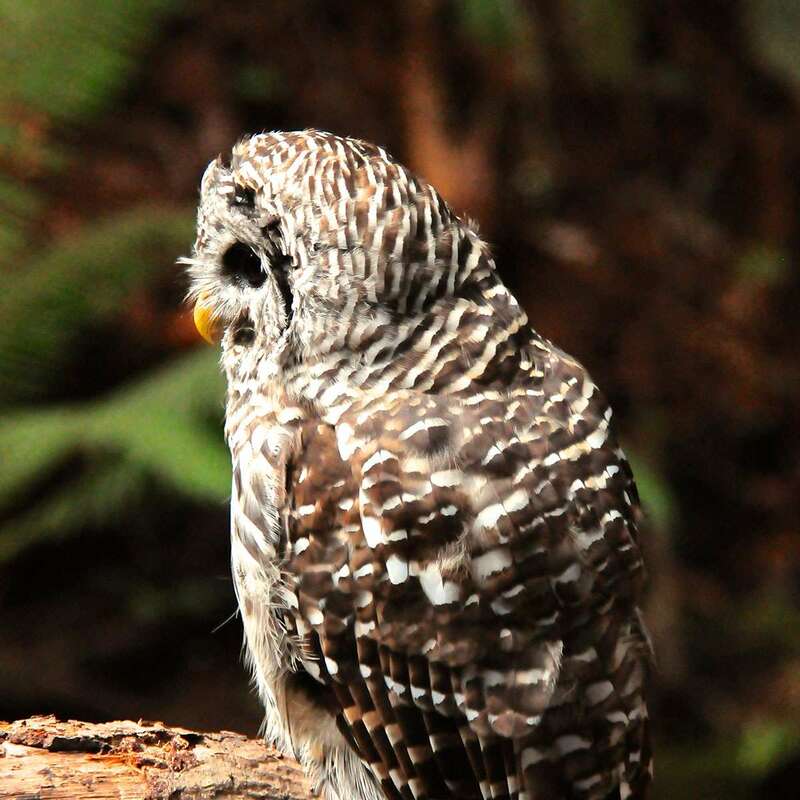 Northern spotted owls can be found in western Washington state and Oregon and as far south as San Francisco, California. The legacy of commercial timber harvest and conversion of forest land to other uses has reduced and fragmented much of the owl’s historic range. 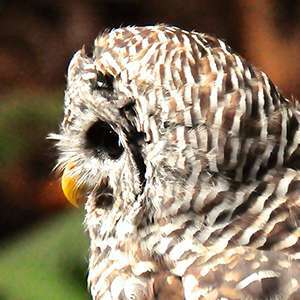 Climate change threatens the owl, creating favorable conditions for invasive species such as the barred owl, which outcompete the spotted owl. Spotted owls also suffer from the increasing intensity of wildfires, especially in dry forest habitats. When the Fish and Wildlife Service did a status review of the northern spotted owl in 2011, they found that populations of the bird were continuing to decrease. To reverse this trend, land managers are working to increase protection for the sites currently used by spotted owls and to encourage forest management practices that will develop future habitat. Wildlife managers are also actively removing barred owls.